The NFL announced Friday that the all-star game will be played Jan. 27 at Camping World Stadium. 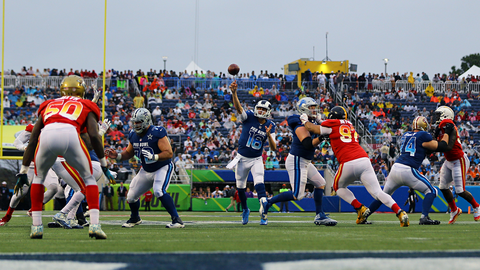 ORLANDO, Fla. (AP) — The Pro Bowl is headed back to Orlando, Florida. The NFL announced Friday that the all-star game will be played Jan. 27 at Camping World Stadium. It will be televised on ESPN, ESPN Deportes and simulcast on ABC. Tickets go on sale in the fall. Players on the winning Pro Bowl team will be eligible to receive a grant from the NFL Foundation to support the high school or youth football programs of their choice. “Hosting the event in Orlando has allowed us to expand the Pro Bowl into a weeklong festival that celebrates the entire football community,” says Peter O’Reilly, the league’s senior vice president of events. Pro Bowl Week festivities in Orlando will include the NFL Flag Championship and the announcement of the Don Shula NFL High School Coach of the Year Award winner.